Summary: Once-in-a-lifetime, will-not-be-repeated, act-now offers constantly bombard us, warning us that if we dawdle, we’ll miss out on the ultimate deal of all time. Of course, there’s more than a tad bit of exaggeration in most of these ads. Today, however, we hear of Christ’s one-time, unrepeatable sacrifice of Himself on the cross. He calls us not to repeated offerings of self and possessions but to the never-ending reception of His merits which were won on Golgotha and are delivered in Word and Sacrament. Text: For Christ has entered, not into holy places made with hands, which are copies of the true things, but into heaven itself, now to appear in the presence of God on our behalf. 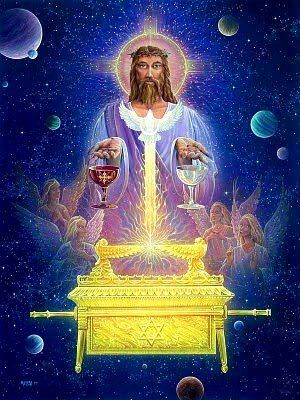 Nor was it to offer himself repeatedly, as the high priest enters the holy places every year with blood not his own, for then he would have had to suffer repeatedly since the foundation of the world. But as it is, he has appeared once for all at the end of the ages to put away sin by the sacrifice of himself. Audio: Click to hear the MP3 of One-Time Offer, preached to the saints of God at Faith Lutheran Church, Knob Noster, Missouri.